My offering for this week’s challenge: A shot taken for an underwater photography class at the Denver Aquarium. 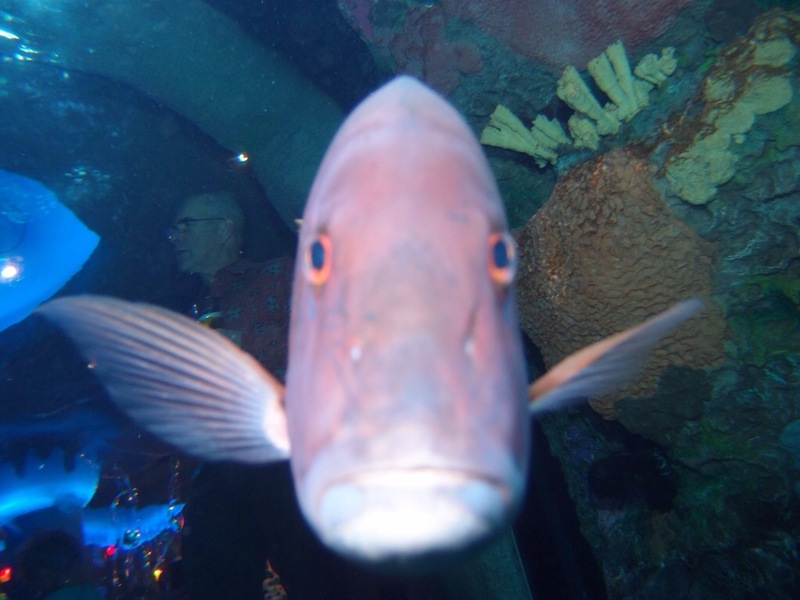 This curious and seemingly grumpy red snapper got so close to my lens that I couldn’t focus on it’s face. the camera did, however focus on Peter having a beer in the bar while watching me dive in the Aquarium! One of Cielo’s favorite sunspots, the back of this chair gets lots of use…but until the other day, I had never seen him perch himself upside-down on it!